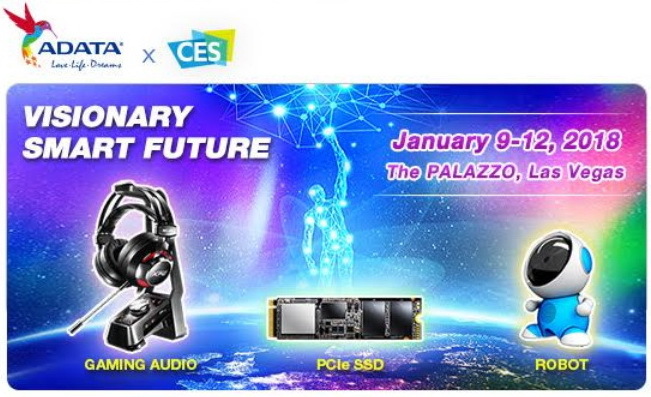 At CES 2018, Adata is presenting numerous novelties within its memory, storage, and mobile product ranges. Here is an overview of the coming products. Among the highlights are XPG gaming components and accessories such as Spectrix memory modules with RGB backlighting, headphones of the Emix series, a new M.2 PCIe x4 NVMe SSD, an SSD in the new NGSFF form factor, as well as a lot of mobile equipment. 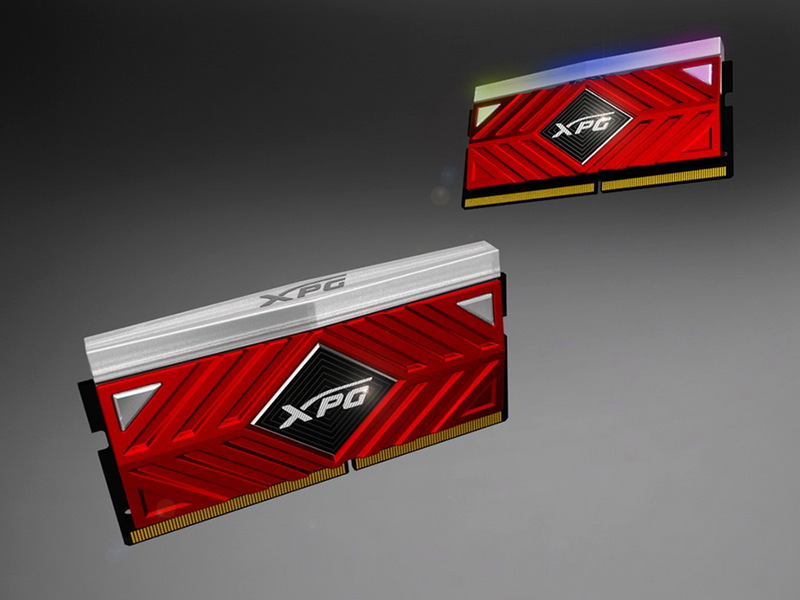 Adata is presenting two brand-new RGB-DDR4 memory modules. The Spectrix D60RGB DDR4 series for high performance has a conspicuous cooling element and allows maximum clock speeds of 4600 MHz. According to Adata, the Spectrix DS40 DDR4 series is the first RGB SO-DIMM worldwide. The illumination can be adjusted via the XPG Auro Sync software. With the new Emix H40 gaming headset, Adata particularly addresses FPS gamers in so-called Ego-Shooters according to its own statements. The Emix 130 in-ear monitors are supposed to deliver crisp "3D-sound" with "5.2 channel surround sound" across several platforms: PC, Mac, Nintendo Switch, Sony PS4 VR, HTC Vive, Xbox One, smartphones, and tablets. At CES 2018, Adata is unveiling a brand-new series of PCIe SSDs. The SX8200 PCIe Gen. 3 x4 consumer SSD supports NVMe 1.3 and uses 64-layer 3D-NAND flash. 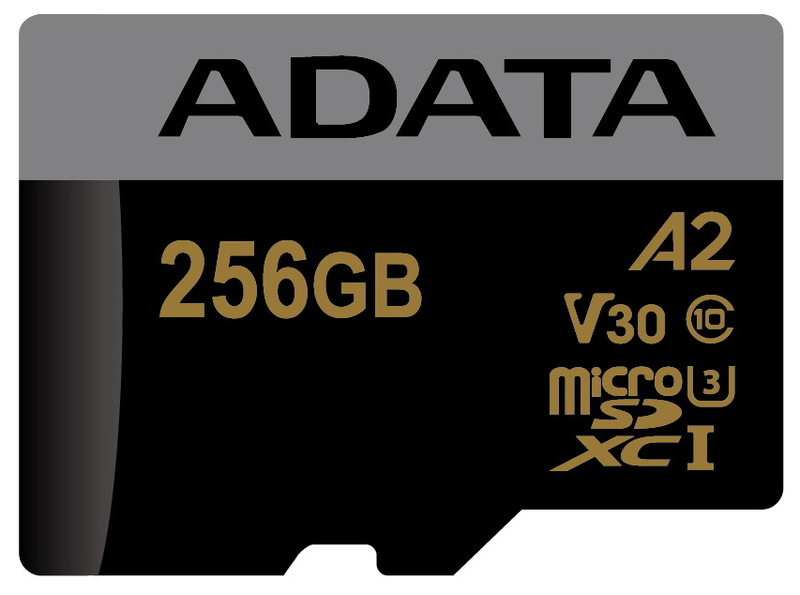 Adata promises read and write speeds of up to 3200 and 1700 MB/s respectively for the SX8200. 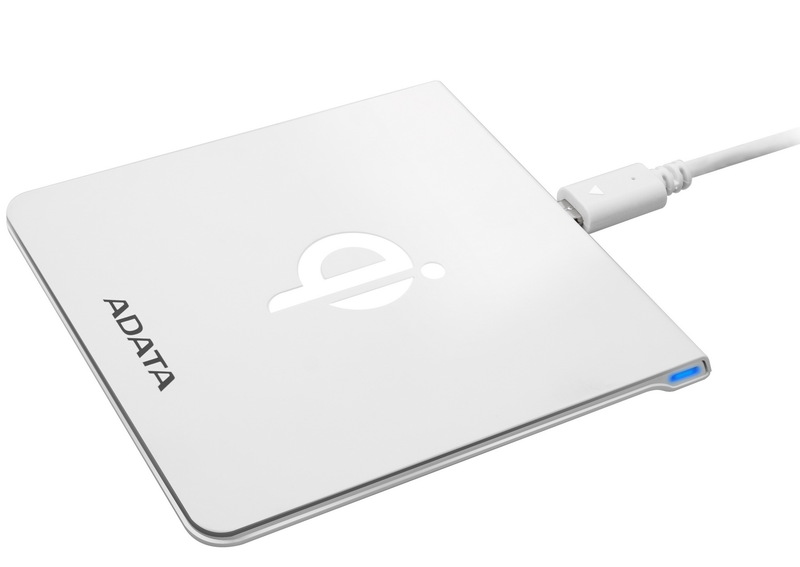 For the first time, Adata also presents the new NGSFF (Next Generation Small Form Factor), which is supposed to allow for larger capacities than the existing M.2 SSDs and is also hot-swap capable. The U.2 SSD SR2000SP enterprise-class SSD series also recommends itself for applications in the server and datacenter areas with high capacities of up to 8 TB and read and write speeds of up to 3200 and 2400 MB/s respectively. Adata is announcing numerous accessories at CES. Among them is the wireless CW0050 charging pad, a USB Type-C 3.1 2-in-1 charging cable, an A2 class microSD card, the new P10050, P16750, and P20010 power banks, as well as the new HD330, HD710M Pro, and SE730H external storage solutions. The CW0050 is a 6-mm-thin wireless charging pad which supports the Qi charging standard for the newest mobile devices such as the Apple iPhone 8 and iPhone X, as well as the Samsung Galaxy 8 and Galaxy Note 8. Not only does the USB-C 3.1 2-in-1 charging cable support transfer speeds of up to 5 GBps for mobile phones with a USB-C connection, but it also supports smartphones that have a micro-USB port. The newest microSD storage card of the Application Performance Class A2 is meant for users of Android systems. The Adata A2 is supposed to significantly improve launch times of Android apps that have been moved to the storage card. The three new P10050, P16750, and P20010 power banks present themselves with "high-density battery cells" and new colors and capacities. 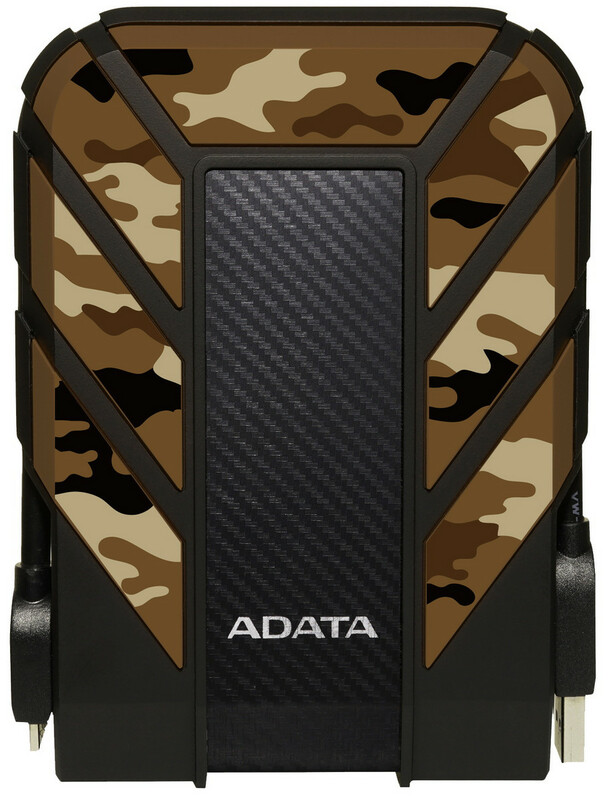 Shortly Adata will also introduce new external hard drives and SSDs to the market, among them the 5 TB version of HD330, the HD710M Pro external hard drive in fashionable camouflage visuals, and the SE730H external SSD with a capacity of 1 TB and USB Type-C connection. I love reading stuff. I also love dealing with different electronic devices, be that a remotely controlled toy or a new MacBook. When I am not at work, you can try searching for me somewhere in the mountains of Altai Republic, Russia.